We offer all-inclusive tree maintenance for any residential location in our service area. Call our certified, trained arborists in Central New York for reliable tree removal, trimming and stump grinding. We specialize in all aspects of tree maintenance and removal. This year, enjoy the well-maintained property you’ve always wanted with help from Rick Turk Tree Service. We specialize in tree removal and tree trimming. We offer around-the clock services for any emergencies that may arise. Call our Certified Arborist in Central New York for reliable tree removal, trimming and stump grinding services. Here at Rick Turk Tree Service, Inc., we are dedicated to providing you with, safe reliable removal and tree trimming services at affordable prices. No job is too big or too small for us. You can always rely on us to provide detailed cleanup services for your work site after each and every project. We specialize in removing the largest and most challenging trees. Our employees are trained in the latest techniques, safety standards and are certified to work around power lines. Our company has a 100 foot crane that enables us to safely remove large and small trees. We also have a 75 foot bucket truck to reach the upper portion of tall trees. During the removal or trimming of your tree, we maintain a well cleared work site. Using our wood chippers and log trucks, we are able to safely remove branches and large wood from your yard. We also specialize in stump grinding to remove any unwanted tree stumps from your property. WE strive to keep your yard looking like we were never there. Tree removal, Tree Trimming, Stump Removal, Cabling, Crane services. Total clean up. Central New York – Oneida, Herkimer, Madison, Oswego, and Onondaga County. 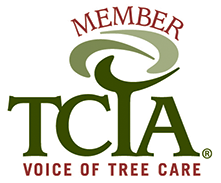 Better Business Bureau, Tree Care Industry of America, International Society of Arborists, Rome Chamber of Commerce.